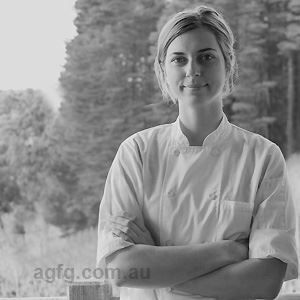 I began my apprenticeship in Byron Bay at Fresh Restaurant. After completing it, I relocated to Brisbane and worked my way to Sous Chef of Jam Jar in West End, under Asher Blackford. After completing my stint at Jam Jar, I moved on and worked for the Moubment Group (Gerard’s Bistro, Lychee Lounge and Hatch & Co). 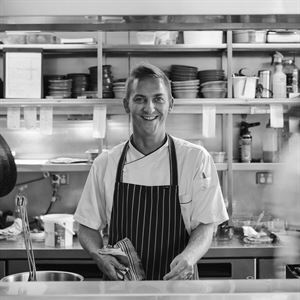 I then went on to be the Head Chef of Deer Duck Bistro in Auchenflower before I took some time to go travelling throughout South East Asia. 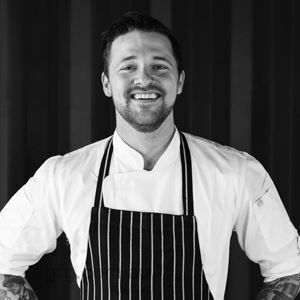 After returning to Australia, I worked as the Sous Chef of one of Australia’s most respected venues, Restaurant Two, working under Chef, David Pugh. After this, I decided to head back over to South East Asia and do some more travelling. 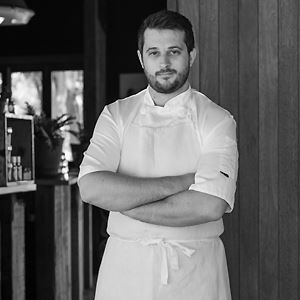 When I returned back to Australia again, I took on the Head Chef position at Restaurant Two from 2016 until the end of 2017, I am now at Mitolo Wines’ Bocca di Lupo. Being in the kitchen and around food has always been my first love. I haven’t always wanted to be a Chef, however, from the age of 14 to now, and for the foreseeable future, I don’t see any other changes on my horizon, as this industry is like no other. Jiro Ono from Sukiyabashi Jiro. The staff members throughout hospitality. I don’t believe that in any other industry you’ll find a more incredible, interesting and diverse group of people with so many incredible stories from their travels or their personal experiences. The fact that every day in this industry is completely different is also incredible. You’re always learning, and in my mind, you can’t put a price on knowledge. Coriander, Wine and Ras el Hanout (North African spice mix). Beetroot + liquorice + walnut + acidulated chocolate or Triple Cream Brie + sourdough + lemon + peas. Charcoal Maltagliati + asparagus + lemon + truffle. 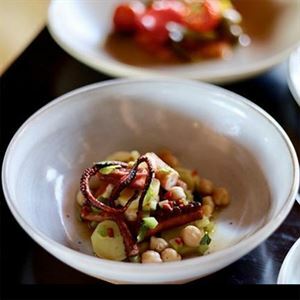 Food and wine made with passion and love are on the menu at Bocca di Lupo restaurant at Mitolo Wines, on McMurtrie Road in McLaren Vale. The Mitolo story began in 1999, when dreams of crafting wines to match the rich provenance of soil and Mediterranean climate were born, culminating in today’s vineyard, tasting room and restaurant. Step into an elegant dining room of polished wood floors, beamed ceilings and black and white furniture, creating an ideal vibe to wine down while enjoying a degustation menu. Expect plates like scallops with cucumber, buttermilk and fennel, followed by lamb rack, celeriac, grains and pistachio; or perhaps duck, onion, leek and sorrel with a side of truffle mashed potato. Finish the culinary experience with a divine dessert of strawberry, cardamom and rhubarb.